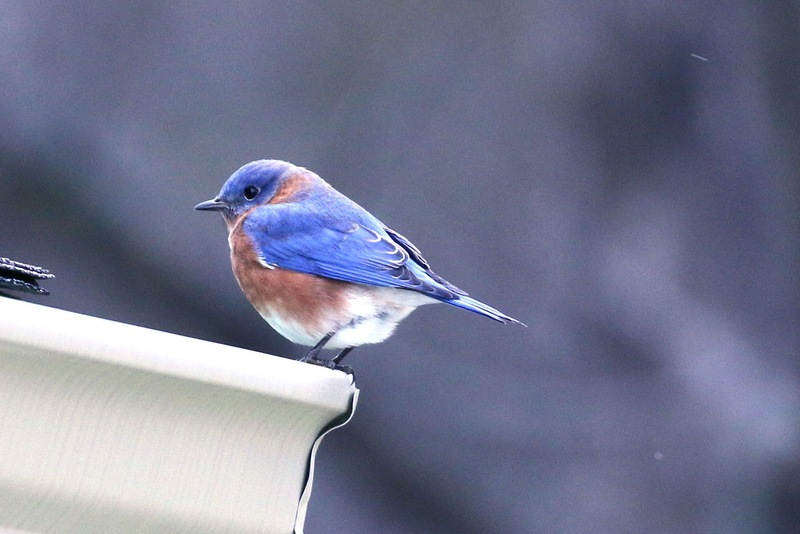 My friend who has a camera with a super-duper lens happened to look outside this week and saw our blue birds still flitting around their blue bird house and the nearby bushes, trees and benches--all empty and unused now--except for the birds, of course. 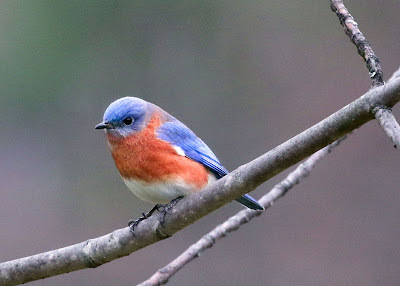 I saw them myself the next day..Pepsi blue is what I call their color. In the late afternoon sun they just glowed. We are blessed. In the new book, Devotions, I've moved into the '70s now, and was blown away by this entry. I have been to Walden Pond, BTW, though it was a number of years ago. The "trick of living and finding it where you are," I'm still visiting. How dull we grow from hurrying here and there!